Is Russia’s anti-corruption drive the real thing? After overthrowing Communism, most countries of the former Soviet bloc were immediately plunged into an environment of unbridled corruption. This was hardly surprising: weak democracy, official unaccountability and enormous inequality were the most obvious factors at work here. Given Russia’s huge natural-resources wealth and the ingrained culture of impunity among Russian officialdom, it was only logical that Russia would be one of the worst-afflicted countries. Prime Minister Dmitry Medvedev, when launching his anti-corruption drive some five years ago at the very outset of his Presidency, bemoaned his country’s "legal nihilism”. A trained lawyer, Medvedev fully understands that corruption must be brought under control if Russia is to modernize and catch up economically with the West. All the signs are that President Vladimir Putin shares that view and is determined to tackle the problem with greater vigour. Some commentators have even gone so far as to suggest that this is the main reason why Putin decided to return to the Presidency: according to that argument, the mission of the architect of modern Russia would be incomplete if corruption were not reduced to what might be considered acceptable levels. 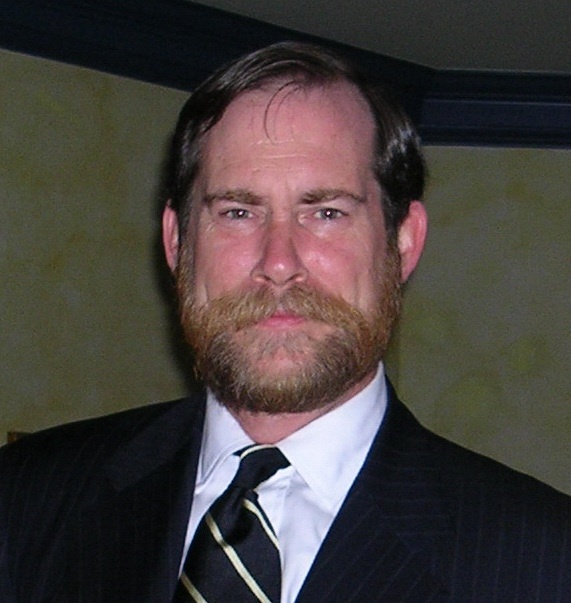 Leading Russia analyst Patrick Armstrong, who is a member of this Panel (see his contribution immediately below), has consistently – and persuasively – argued that the clearest evidence of the seriousness of the fight against corruption would be the fall of someone from within Putin’s inner circle. Such a fall came in November 2012 with the sacking of Defence Minister Anatoly Serdyukov amid allegations of widespread corruption among ministry officials. While no charges have yet been brought against Serdyukov, he remains under investigation for the suspected condoning of fraudulent practices at the ministry-controlled holding company Oboronservis. Combined with other recent high-profile investigations, such as those related to the GLONASS affair, the Ministry of Defence probe appears to constitute a serious-minded official campaign to root out corruption from at least part of the top bureaucracy. Sceptics, on the other hand, argue that the current anti-corruption campaign is little more than an escalated inter-clan conflict within the highest echelons of the bureaucracy. 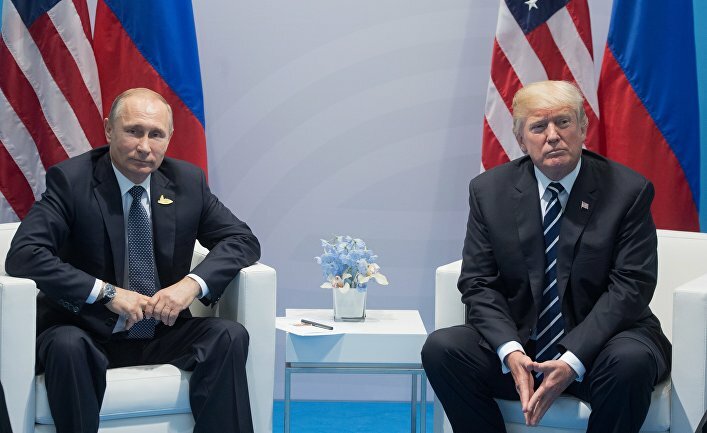 The general view from this quarter is that Putin’s Russia cannot be freed from corruption because the very regime itself – including its head, Vladimir Putin – is deeply corrupt. Corruption is the natural and, indeed, only way of life in Putin’s "autocracy”, according to that viewpoint. While healthy scepticism is always warranted, perhaps this time round it cannot be ruled out that something more than an inter-clan struggle is afoot. The fall of a top official, the sheer scale of the investigations and the publicity accorded to them in the state-controlled media, and ongoing measures to curb the scope for official graft – such as the recent ban on state officials and politicians holding foreign accounts and assets – suggest that the anti-corruption drive is acquiring a comprehensive, systemic character. If that is the case, then we just might be witnessing the start of an all-out, sustained official campaign to tackle this most intractable of problems. •Sometimes likened to cancer, corruption has numerous causes and appears in many different forms, and hence it can be treated only by a comprehensive "regimen” over a prolonged period. Is it conceivable that Russia is currently witnessing the onset of such an approach? •Like crime, poverty or war, corruption can never be completely eradicated – indeed, there is ample evidence from Western democracies supporting such a view. However, a threshold can realistically be reached at which corruption becomes the exception rather than the rule. Can such an environment ever be created in Russia? Vlad Sobell mentioned two theories: Putin might be seriously attacking corruption or it’s only inter-clan fighting. "Clannology” has been a popular notion for years. In the early Putin years I remember an intelligence agency proudly presenting its typology. Three clans were fighting: "Family”, "Siloviki” and St Petersburg? – I can’t recall now. Unimpressed, I asked: What have we learned from this? What is explained? What is predicted? "Clannology” has nothing to offer: it has Popper’s fatal sin of not being falsifiable. Whatever happens will be fitted into the theory: Putin and Medvedev fall out, different clans; they don’t, same clan. A theory that explains everything, explains nothing. So we must (Popper again) make a falsifiable hypothesis that Putin really is making a serious attack on big scale corruption and ask what would be the evidence that he is. Let us consider three hypothetical corruption examples. A hospital exists, but the staff demand bribes to do their jobs. The hospital exists, but the money for many items was stolen. No hospital exists because the money was stolen before anything happened. Arresting the bribe-taking staff is not evidence of a serious anti-corruption drive: they’re little guys and easy to catch. Arresting the locals who divert some of the money is better but the real effort must be getting the big thieves – the connected people who can make money disappear before it appears. Big Russian corruption – vide the Oboronservis case – resembles the third example: money allocated for some public purpose is diverted to private benefit by people at the top of the money flow. This is much more serious than some traffic cop scoring a free lunch: more money is stolen, further up the power chain and it therefore corrupts the body politic more. Putin has to bite into this layer to reverse behaviour and send the message to the big thieves who think they are immune. In short, someone high up must be arrested; otherwise thieves just learn that it’s better to steal big than steal small. No such arrest has yet been made although the dismissal of Serdyukov has put us within sight of one. (And, pace the clannologists, Serdyukov, appointed and retained by Putin in a very important ministry, would surely have been considered a member of Putin’s clan.) Former Moscow Mayor Luzhkov’s fate, or his wife’s, while they are a few orbits away from the inner ring, is also something to watch. Talk about their malfeasances has quieted but the Prosecutor General’s Office moves slowly. And investigations must be done properly, with evidence, otherwise it’s not a real campaign. 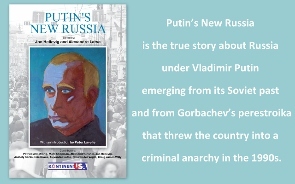 But it’s possible Putin will try but fail: in 2007 he was asked "How can you control corruption?”, "Unsuccessfully” said he, "We are addressing this issue unsuccessfully.” It won’t be easy to take a bite out of people who have been stealing for years. Medvedev recently said that there were about 50,000 corruption cases being investigated. If half of these go nowhere and 90% of the rest are small fry, that still leaves several hundred potentially big cases that we may hear about. I believe that an effort is indeed being made, but it has not yet passed the test of one of the inner ring being punished. As one tries to make head or tail of the current anti-corruption campaign and the debate around it, one tends to feel that the debate's conceptual frame of reference itself is wrong or badly askew. Conceptions involved in the discussion can be summed up as Position 1 and Position 2 (cf. Vlad Sobell's theses). Position 1: the current regime will pursue the campaign with vim and vigor, and in the end Russia will step out of the present hell of corruption into the paradise of instant modernization. Position 2: the current regime is corrupt itself and thus cannot control corruption. Inference: give us power (variation: we will come to power via a color revolution), and corruption will vanish along with the regime. In my view, neither of these conceptualizations fits the phenomenon that goes by the name of corruption in today's Russia. Position 2 can be safely ignored as it is held by individuals like ex-Premier Kasyanov or ex-Vice-Premier Nemtsov and their cohorts, the people who were instrumental in creating the present state of affairs. The fallacy of Position 1 is harder, though not impossible, to demonstrate. To do this, let us ask this childish question: What is corruption? There is a succinct Russian phrase that aptly describes the phenomenon: ty mne, ya tebe "you (give) me, I (give) you." A sort of service industry, you know. It flourished in imperial Russia. Educated classes, the principal perpetrators of that industry, mostly spoke French, so its slogan was, Empochez! A sort of Frenchified version of Shylock's "Put money in thy purse." The industry was said to be endemic and impossible to root out. In spite of that evil, however, from the time of Alexander II's reforms to 1914 the rate of Russia's economic growth was the envy of all Europe. Stalin is said to have achieved the miracle of rooting out Russia's endemic corruption by the simple expedient of having anyone suspected of it, or denounced as suspect, or something, shot out of hand. Alas, this is yet another Stalin myth. I was a kid in Stalin's time, yet I learned the language of the epoch. A significant element of that language was, Blat vyshe Sovnarkoma ("Pull, connections are higher than the Council of People's Commissars"). Still, blat did not prevent the industrialization of Russia from virtual zero to a level that enabled it to crush the Third Reich, which had the industrial might of nearly all Europe behind it. Post-Stalinist Russia saw a virtual efflorescence of blat. "Soviet man the builder of Communism" was also privately known as Homo equivalentus, a creature that existed in a system where a good filling for your tooth equaled a ticket to the Bolshoi equaled subscription to Brothers Strugatsky equaled a kilo of some rare species of sausage, etc. etc. Despite such rampant corrupt practices, the same epoch achieved the building of a nuclear shield, the resettling of masses of people from communal flats to separate ones, the building of mammoth hydroelectric plants, primacy in space, and all the rest of it. Now we come to the present. No question but that this scratch-my-back-I'll-scratch-yours type of corruption still exists. I myself was guilty of it recently. After an unpleasant cardiac experience I ended up in hospital. Fearing (perhaps needlessly) that I might be allowed to expire peacefully, my relatives corrupted a few white-coated figures to the tune of – well, no matter. As a result, I was given a thorough IV treatment, had countless painful needles stuck in my backside, was fed pills by the handful, the works. Let me call this mode of behavior Good Old Corruption. And let me ask this further question: Is this what is basically wrong with Russia today? Is it this behavior that stands in the way of its modernization? My answer is a curt "No." By way of sidling up to the correct approach to the problem, let me cite a scene from yesterday's newscast. Putin is shown inspecting some Olympic facility in Sochi and questioning, with barely concealed fury, some minister as to why that facility was finished two years behind schedule and cost 8 bln rubles instead of the original estimate of 1.2 bln. Well, my questions to Putin would be, Doesn't he know why? And if he doesn't, what is he doing being President? The simple, the obvious answer to his questions is, the builders of that facility are not primarily in the business of building any facilities. The building thereof is a more or less incidental byproduct. They are, first and foremost, in the business of – listen to this beauty of Russian bureaucratese – osvoyenie byudzhetnykh sredstv. Literally, appropriation of budgetary resources. There are the "budgetary resources" (public funds, in more human language), they must be "appropriated" - so they are. Simple as that. Now, what does this have to do with Good Old Corruption? Nothing. To use a Hegelian term, it is a qualitatively different phenomenon: systemic privatization of public funds. Being systemic, it is ubiquitous. Wherever you look, you observe evidence of it. The building of a stadium in St. Pete, originally estimated at 7 bln rubles, has cost 44 bln, and no end in sight. A road near Vladivostok, built at an exorbitant cost, was washed away by the first rain. Here in Moscow we regularly see asphalt being laid right on top of fallen snow - why? To appropriate more public funds in a few months, when the asphalt crumbles to dust. Or take the Bolshoi. How much did its renovation cost? Ask me another. No one knows, and that's a fact. Billions, many billions, is the nearest you'll get to know. Like I said, if you want to observe the process, all you have to do is look. I could have traced this industry of privatization of public funds right from Gorbachev's "cooperatives" through the "loans for shares" scam to Chubais's privatization to privatization of power, with attendant proliferation of preternaturally gifted businesswomen who happen to be the wives of mayors, governors, ministers, and sundry others. Ex-Defense Minister Serdyukov stands apart in this respect: he merely had a preternaturally gifted mistress. I could have attempted such labor, only why bother? For one thing, volumes have been written on the subject already. For another, more pertinently, Mr. Medvedev put the issue in a nutshell in an interview somewhere in the West: privatization in this country is "ideological in character." Why wonder, then, that it becomes an end in itself? Just one example, a favorite of mine: Chubais's Rosnano Corp. There was no nanotechnology industry in Russia, so the powers that be resolved to create one. Originally it existed as a pile of "budgetary resources" - public funds - in the shape of a state corporation. No production facilities, nothing at all, just a big pile of money. Then that pile was privatized, and it is now an OAO, an "open shareholders society." To me, the most interesting question is, What does this "society" produce? Can we mention its name in the same breath as, say, Nokia, or Samsung, or Telekom, or any such? No, we can't, and the reason is simple: the purpose of the operation has been achieved, public funds have been appropriated, and will continue to be so appropriated, thank you so much, finance ministry. If there was a different purpose of the scam, like production of some nano gimmicks, it was for the consumption of the credulous public only. It looks to me that this phase of Russian capitalism will last as long as there are public funds to be appropriated, campaigns or no campaigns. My guess is, though, that the end of this phase is drawing uncomfortably near. Shale gas can put paid to Gazprom. Extracting oil will come more and more expensive, Russia's oil just cannot compete with cheap Arab oil. And there aren't many other sources of those "budgetary resources." Well, perhaps then there will be no more of this ideological appropriation of public funds. Just Good Old Corruption. Hallelujah. There are many opinions on this topic and I see no reason to add more to that morass. I do however think it will be useful to ground the scale and trajectory of Russian corruption in quantifiable facts and statistics. There are three major ways of measuring corruption: (1) Subjective assessments; (2) Objective assessments; and (3) Opinion polls. The most famous subjective assessment is Transparency International’s Corruption Perceptions Index. Russia might go up and down across the years, as per the businesspeople and "experts” it polls, but overall it remains consistently stuck somewhere in between Honduras and Equatorial Guinea. Bearing in mind that they also believe Italy is more corrupt than Saudi Arabia – a country owned by its ruling family even in name – one must ask to what extent this PERCEPTIONS index reflects actual corruption in a country, as opposed to the expat packages it offers and its friendliness to the international business community. Is it a complete coincidence that Russia’s already low CPI score started plummeting to new depths in the exact same year that it jailed Khodorkovsky? Russia does much better on assessments that include precise methodologies for calculating scores, i.e. a particular anti-corruption law either exists – or it doesn’t. On the Global Integrity Index, it scores 71/100, which is comparable to many other middle-income countries like Lithuania (74), Hungary (73), and Mexico (68). On the Open Budget Index, which measures fiscal transparency, Russia improved drastically from 47/100 in 2006 to 74/100 by 2012, and is now ahead of all the BRIC’s, all of East-Central Europe barring the Czech Republic, and even Germany. Widespread tropes of shady siloviki appropriating all the proceeds from the Russian oil industry – typically accompanied by terms such as "Muscovite patrimonialism” or "rent-seeking clans” by those seeking to project an aura of learnedness – to the contrary, Russia is second only to Brazil and Norway in the transparency of its oil and gas accounts, as measured by the Revenue Watch Index. 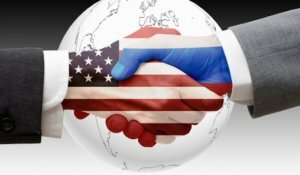 Although it is true that neither of these three indicators directly measure corruption, answer this: If Russia truly were the "mafia state” it is frequently painted as by the Western chattering classes, why on earth would its anti-corruption laws and transparency indicators be steadily improving? For instance, Navalny’s work to expose corrupt state tenders is hailed in the press– and rightly so! – but had not the kleptocratic Kremlin made those tenders publicly accessible on the Internet, none of that would be possible in the first place! The final method of measuring corruption is both the most direct and democratic – asking ordinary Russians how often they experience it, as opposed to the musings of ivory tower "experts” and limousine expats. Unfortunately, opinion polls on the matter – most of which come from Transparency International’s Global Corruption Barometer, the Levada Center, and FOM (The Foundation for Public Opinion) – are too irregular and differently worded to confidently discern any decadal trend. On average, about 25% of Russians tend to say they or their families experienced corruption in the past couple of years. This is directly analogous to countries like Hungary (24%), Romania (31%), and Mexico (33%) – and not far below the worst-performing "old European” country, Greece (18%). That is, of course, nothing to write home about; but neither is this comparable to India (54%), let alone aforementioned Honduras or Equatorial Guinea. The claims that Russia is "Nigeria with snow” are nothing but hot air. As for whether corruption in Russia can ever become "the exception rather than the rule”… Well, where precisely is this threshold? Corruption is part of a continuum, not a set of discrete states. I will venture to say, with the correct incentives and cultural propaganda, that it is certainly plausible for Russia to reduce its levels of corruption from the levels of Romania or Mexico today to the somewhat better levels of Italy or Poland. I do not know if improvements beyond that are possible. Whether it was due to Protestantism, or the out-breeding fertility patterns specific to family life within the Hajnal Line (which according to some theories promoted altruism), the peoples of north-west Europe seem to have reached a level of very low corruption that has been equaled by very few other societies. In Russia’s case, just converging with Mediterranean and Visegrad corruption norms would be an adequate achievement. Russia's Anti-Corruption Drive Needs a New Focus! Russia's anti-corruption program is a bold step, and one that is needed. Unfortunately, it seems to be only a half-way measure. The focus is on the transgressions of individuals. But it is doing little to alter a pervasive culture of corruption. Toughening laws and prosecuting bad behavior can go only so far. If the culture of corruption isn't changed, the enforcement and legalistic approach will never achieve much success. There is an interactive relationship between behavior and culture. Behavior contributes to culture, and culture influences behavior. To have any real impact, the government is going to have to address both with equal seriousness. By the term "culture" I'm not talking about art, music, and poetry. In the context of social organization, culture refers to the basic assumptions, norms, and values that are shared by members of the society. Ten years ago I was involved in a private-sector anti-corruption initiative focused on Russia's media sector. Ever since the Russian Federation was founded in the early 1990s, there has been a wide-spread practice by media companies and journalists of accepting money from businessmen or politicians to distort the news in favor of the payers. In the process, of course, the media consumers get cheated out of accurate and reliable news. I had become convinced that the development of the sector was being retarded by this practice. But Yeltsin-era laws seemed to be standing in the way of change. They practically precluded the profitability of media organizations that wanted to function legitimately. It left them with little alternative but to operate corruptly. I led a successful advocacy campaign that resulted in the repeal of most of those laws. At that point a concomitant change in the media sector's business culture was required. The new profit opportunities made available by the legislative changes were not impetus enough for media managers to venture into new territory and make their businesses become truly consumer centric. The old ways were too comfortable. The culture of corruption had become entrenched. A project called The Russian Media Fund (http://russianmediamarket.com/RussianMediaFund) was conceived to pursue changing the media business culture. A comprehensive plan for accomplishing the change was developed. Multinational companies doing business in Russia saw that they had a stake in the normalization of the media sector, and seemed willing to provide funds for a program to change the business culture. The administration was willing to condone the initiative. Indeed, Putin himself had spoken out about the need for change. But the funds for the project were never forthcoming. The multinational companies were dissuaded from anteing up by the prevalence of malicious news stories about Putin. They led the companies to believe he would never allow the media sector to normalize. Now, the media sector still stands out as perhaps Russia's most conspicuously corrupt sector. What better place would there be to start a comprehensive anti-corruption program, one that would involve both prosecution of individual transgressors and promoting cultural change? The media sector impacts practically every citizen of Russia every day. A de-corrupted media sector would send everyone a clear message about the sincerity and competency of the anti-corruption push, and would serve as a model for extending the initiative into other sectors of the economy and for society in general. The legislative component of the program has already been accomplished. Now if the already-developed program for cultural change were to be implemented, Russia would be well on its way to accomplishing something concrete, visible, and confidence inspiring for the cause of anti-corruption. Take it from Einstein: all things in our universe are relative. Contrary to the accepted Western view about the poor state of freedom, democracy and human rights in Russia, I'd argue that huge progress has been made on all these fronts compared with the way things were in the USSR. However, on three other fronts – corruption, demography, and alcoholism – the picture is less rosy. As far as corruption is concerned, the situation is definitely worse than it was in the Soviet times, both in relative and absolute terms. 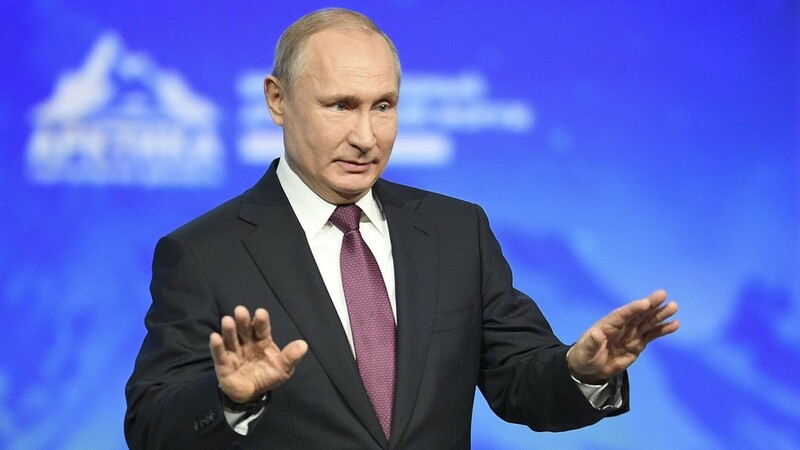 If Putin really expects Russia to achieve dramatic economic growth in the near future, if he cares about his historical legacy, he had better do something about it. Of course, this is easier said than done. So, what options does he have? 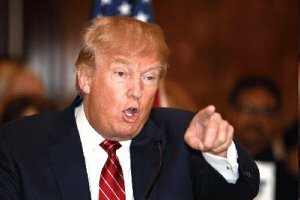 It is unlikely that he will introduce public whipping of corrupt officials like Peter the Great or shooting them like Joseph Stalin. By the same token, he can hardly propose cutting off their hands or feet. Still, some positive developments in stamping out corruption are already in evidence. According to Russian Interior Minister Vladimir Kolokoltsev, in the past year alone the police found evidence of 45,000 crimes of corruption; criminal proceedings have been initiated against more than 10,000 individuals. The numbers look impressive, but they are obviously not enough. For what is at issue is not merely corrupt officialdom, but the entire culture and social mores. For too many, bribing someone to obtain better and faster results is not considered unacceptable or even an immoral behavior. Call it a historical or cultural tradition, but such unfortunately are the facts. So there is no point in placing all the blame on the Kremlin when even the people who get outraged about corruption are often ready to give or take bribes themselves the very next day. Since this panel is focused, above all, on US-Russia relations, let me throw in a wild or perhaps not so wild idea. 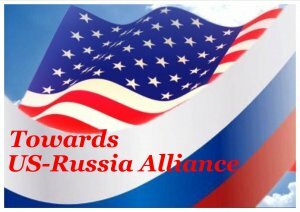 Why don't Washington and Moscow agree on exchanging information on all bank accounts of Russians in the US and of Americans in Russia? Furthermore, if I am not mistaken, any wire transaction in dollars requires the involvement of an intermediary American bank even if the final wire destination is not the US. This means that the proper US authorities have all the information about these wires and if potential violators of law know that it will be passed to the Russian tax collectors, capital flight and associated corruption might be substantially reduced. However, the hardest blow to corruption could and should be delivered by ordinary people who have information about corruption but for various reasons are reluctant to make it public. The fact is that in Russia, informing on someone is seen as a disgraceful, immoral conduct. However, if people realize that corruption is the country's worst enemy, comparable to terrorism or worse, they will perhaps come to see informing as a patriotic rather than shameful stance. Russia’s problem with corruption is inseparable from its problem with the perception of corruption. The latter has so metastasized that it is no longer clear which is greater, the actual level of corruption or the perception of it. If one actually wants to tackle the problem, the difference is important. Dmitry Mikhailovich Rogozin (not to be confused with Deputy Prime Minister Dmitry Olegovich Rogozin) is one of Russia’s foremost experts on corruption. He notes that only one percent of corruption cases investigated in 2011 involved actual criminal conspiracies. The vast majority are local "crimes of opportunity” committed by individuals who saw the chance to profit from a transaction and took it. The problem, of course, is that this sort of behavior is pervasive precisely in arenas where public servants have something to "sell.” Several solutions suggest themselves. First, require that government transactions be publicly documented. Russia’s new open government initiatives do just that by leaving a paper trail. Second, increase the salaries of civil servants. This diminishes the potential "profit margin” to be derived from corruption. The government has made steady progress here as well. At the same time, it is very important that the number of bureaucratic permissions that the state can grant be reduced to a minimum. This last solution is problematic, but also potentially the most effective. Privatizing public services can be undemocratic and anti-egalitarian, but it does serve to reduce corruption in state institutions by driving the issue of the proper fee for services into the private sector. Finally, one should not neglect the salutary impact that public shaming can have, especially on the most prevalent forms of corruption. Media, educational and religious institutions all have an important role to play in stigmatizing anti-social behavior. Russia’s struggle with corruption is nothing unusual for a modern society. Indeed, it is quite salutary. The issue has arisen now because the country has reached that point in its social development at which the issue becomes acute because it impedes further modernization. The key to success is to stay the course, to approach the issue systematically, comprehensively and diligently. It is of great importance that government be seen as unswerving in its commitment to eradicate corruption, no matter how long it takes. Eight years ago I wrote a series of papers about markets and democracy in Russia. I argued that the state should take the lead in setting the national economic goals, based on the argument that the private sector in Russia is asocial and cannot become the engine of national growth. However, this state-centered approach would have no chance of success until the quality of Russian bureaucracy improved. 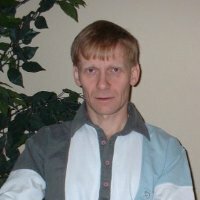 The realization of the latter objective depended on the creation of the middle class, because the system of governance that evolved under President Putin lacked a built-in feedback mechanism linking the state officials’ individual reward with their use (or more often misuse) of public resources. Therefore, it is greater publicity and the resulting public pressure that will impose a restraint on corruption, making it possible for Russia to move beyond the resource export-oriented model. This analysis remains relevant in Russia eight years later. The Russian private sector shows even greater disrespect for social norms, particularly its jeunesse dorée – numerous publications bear witness to this. Russian public servants are still evaluated by their loyalty instead of their professional merits. President Putin continues to protect his inner circle unconditionally, including Mr. Serdyukov, whose current status of "witness” is unlikely to change to that of accused. But one thing has changed since 2005 and this development deserves critical assessment – the arrival of the middle class. The middle class comprises people who are sufficiently well off to maintain a decent life-style independently from the state but whose wealth is not sufficient to make them free from the impediments persisting in local communities. Figuratively speaking, the middle class possesses fine cars but lacks good quality roads. Since it does not compete for political power, it avoids a showdown with the regime. On the other hand, however, it creates demand for activities designed to serve its interests. 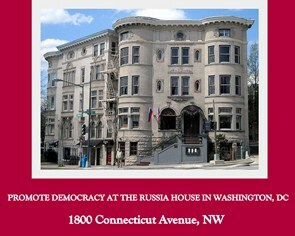 In a corrupt state such as Russia, the key demand of the middle class is greater efficiency of the state apparatus, which is infested with corruption. And as soon as there is demand, supply will not take long to appear. As has often happened in history, President Putin’s social contract has created a class that will lead to the regime’s eventual demise. So far, the demand created by the middle class has resulted in greater publicity, which I believe is the main reason behind the more frequent corruption scandals today. 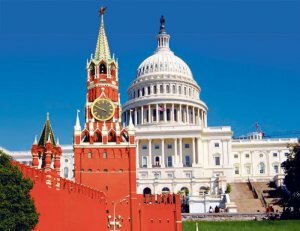 The Kremlin appears to have been caught off-guard by this new Russian reality and has reverted to clumsy accusations of "foreign influence” – such as the Magnitsky Bill – being behind the patchy but effective anti-corruption campaign against every pillar of its "vertical of power”: from the power bloc to the administration of the Russian Orthodox Church. This grassroots campaign highlights the important failures of the state system. But can it go one step further and address the social ills at the heart of corruption? Theoretically, this is possible, as numerous approaches exist on how to deal with this problem. One can refer to the Chinese merit-based approach of erecting high hurdles for aspiring public servants through lengthy examinations, which only the most able will pass. One can impose the "if and only if” limitations at the end of careers in public service – as is the case in many Western democracies – and grant generous pensions and other perks only to those civil servants who complete their careers without reproach. But these and other measures do not sit well with the current structure of public service in Russia, which requires, above all, unconditional loyalty to the leadership of the bureaucracy rather than strict observation of the law. 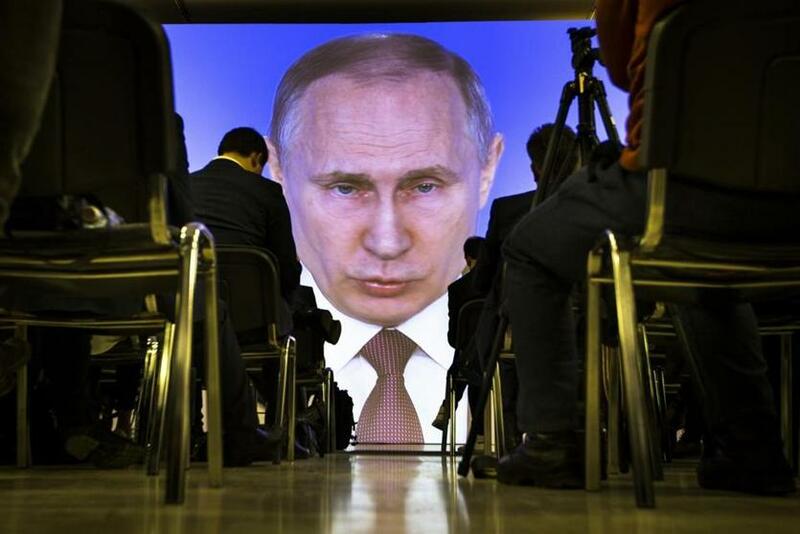 Finally, I concede that I uncritically accepted one erroneous assumption in the papers I wrote eight years ago: that the regime of President Putin can mutate in response to social changes. Unfortunately, last year showed that those in power in Russia still prefer to opt for repression instead of adapting to the new circumstances. Or to put it another way, they continue to place their personal welfare above the vital interests of the country. Based on what I have seen in the military, which is supposedly the most corrupt (involving the greatest amount of money), the handling of the Serdyukov case resembles a show trial. Moreover, a case of this kind will make the headlines only when it becomes convenient or when something forces the issue. Only then it is brought to the attention of the legal authorities and prosecuted.